One of the sport’s greatest icons will be on Eurosport’s screens for another three years after it was announced snooker legend Ronnie O’Sullivan has signed up with the Discovery-owned network to be an expert analyst. Affectionately named ‘The Rocket’ in reference to his breath-taking shot making ability on the baize, the five-time World Champion will join Eurosport’s stellar cast of snooker experts throughout the upcoming 2019 World Snooker Championship at the Crucible Theatre in Sheffield. 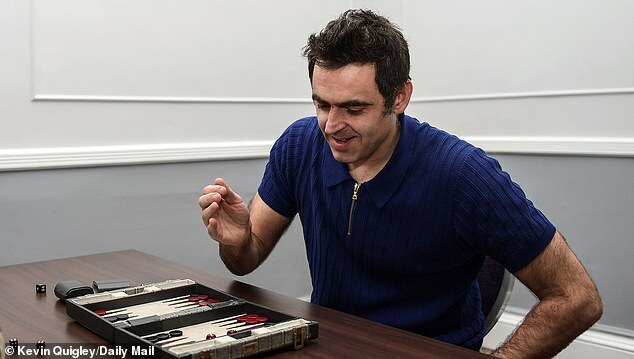 O’Sullivan will also be chief contributor to an exclusive short-form series 60 Second Pro, to be screened on Eurosport’s linear and digital channels throughout the tournament where the potting maestro will dissect some of the key aspects of the game – covering everything from the perfect break to imparting the right amount of spin for certain shots. 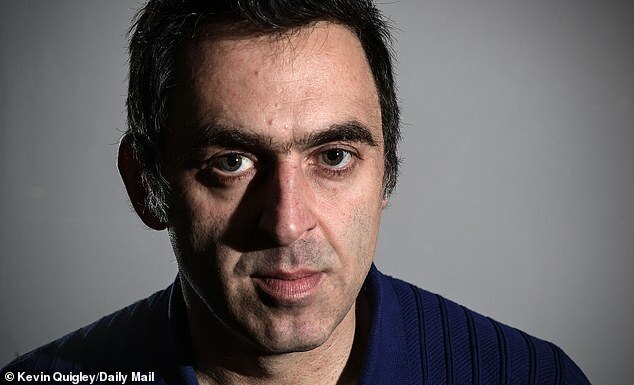 Ronnie O’Sullivan said: “I am delighted to extend my association with Eurosport for another three years. Eurosport has been an important part of my professional life over the last few seasons and I can’t wait to share my opinions with viewers from right across Europe. Joining O’Sullivan to analyse the best of the action during the World Snooker Championship will be six-time World Championship finalist Jimmy White, former professional stalwart Neal Foulds with respected broadcasters Colin Murray and Andy Goldstein anchoring the show and Rachel Casey conducting interviews on-site from Sheffield. Professional snooker guru Chris Henry, who has coached the likes of Shaun Murphy, Ding Junhui and Stephen Hendry, will supplement Eurosport’s coverage with unique insights into the mindset of the players during the 17-day tournament. Over 150 hours of live coverage will be shown exclusively* on Eurosport, eurosport.com and the Eurosport App across Europe with highlights shows, replays and action from the qualifying tournament** taking that figure to well over 300 hours by the time the curtain comes down on the 42nd edition of snooker’s blue-riband event. Dave Hendon will be calling the action for Eurosport. Eurosport first broadcast the World Snooker Championship in 2000 and has shown every tournament since 2003. 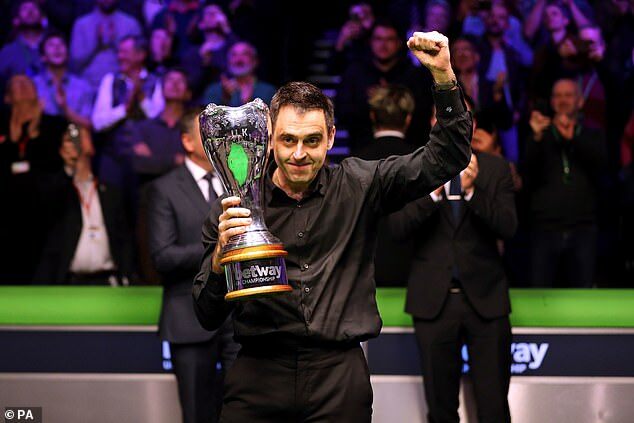 In 2016, Eurosport underlined its status as the Home of Snooker when it signed a ten-year agreement with World Snooker to broadcast all of the major tournaments on the snooker calendar, including the Home Nations Series, Masters and the World Snooker Championship. Albania, Algeria, Andorra, Armenia, Austria, Azerbaijan, Belarus, Belgium, Bosnia Herzegovina, Bulgaria, Croatia, Czech Republic, Cyprus, Denmark, Egypt, Estonia, Finland, France, Georgia, Germany, Greece, Hungary, Iceland, Ireland, Israel, Italy, Jordan, Kosovo, Kazakhstan, Kyrgyzstan, Latvia, Lebanon, Libya, Liechtenstein, Lithuania, Luxembourg, Macedonia, Malta, Moldova, Monaco, Morocco, Montenegro, Netherlands, Norway, Poland, Portugal, Romania, Russia, San Marino, Serbia, Slovakia, Slovenia, Spain, Sweden, Switzerland, Syria, Tajikistan, Tunisia, Turkmenistan, Turkey, UK, Ukraine, Uzbekistan, Vatican. 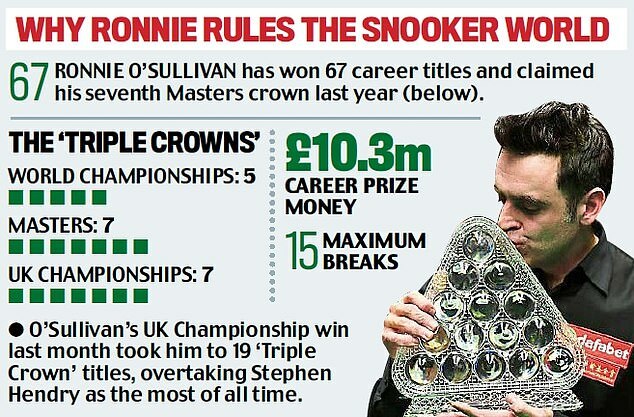 One of the greatest players in the history of snooker, Ronnie O’Sullivan has five world titles to his name having won the sport’s biggest prize in 2001, 2004, 2008, 2012 and 2013. 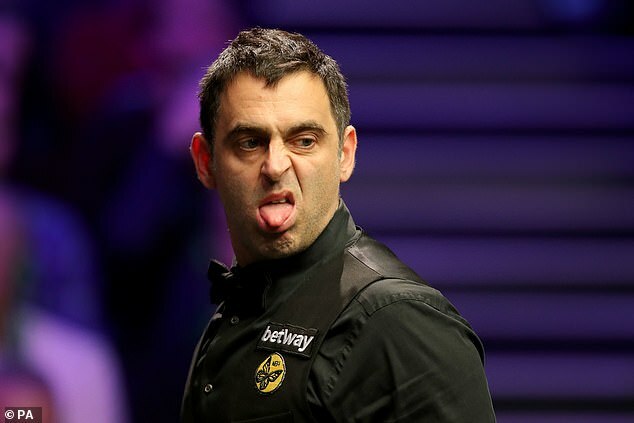 During his professional career – which started in 1992 – O’Sullivan has won a total of 35 ranking tournaments and last month became the first player to record 1,000 100+ breaks in a career. Ronnie started working with Eurosport in 2014, quickly establishing himself as one of the most engaging, insightful and entertaining analysts in snooker. Away from snooker, Ronnie was awarded an OBE (Order of the British Empire) in 2016, is interested in the role nutrition can play in everyday health and his modern-day sporting idol is Barcelona and Argentina playmaker Lionel Messi. 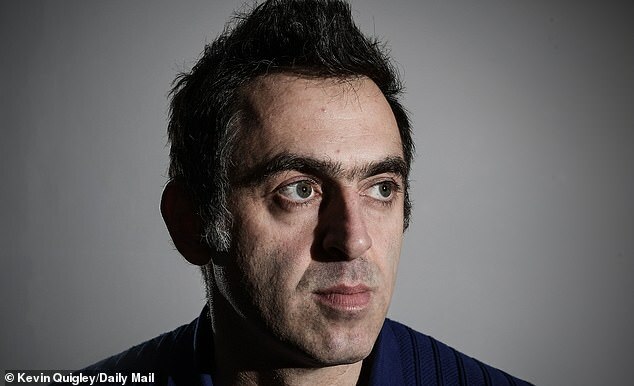 Forget the 1980s, we are living in snooker’s golden age with three giants of the sport – Ronnie O’Sullivan, John Higgins and Mark Williams – performing at their very best, writes Desmond Kane. From the golden generation, comes a golden era. The curious narrative of the green baize has become a sort of Benjamin Button with snooker balls courtesy of its glistening potting triumvirate. Ronnie O’Sullivan, John Higgins and Mark Williams, the world’s top three this year, have a combined age of 126, but a collective snooker brain of about half that. The older they get, the younger they get. Weird, but also wonderful for those of you out there who rage against the dying of the light. If the 1980s was snooker’s heyday in the UK, snooker is at its zenith in 2018. O’Sullivan, Higgins and Williams, three blokes 21 years short of making up a combined age of 147, have never performed better encased by some sort of time-defying emollient and a genuine desire to improve. Eight out of the season’s 16 ranking tournaments have been gobbled up by WHO at 42? It is not melodramatic to suggest the ongoing class of ’92 – the year when they started out as professionals – are holding up better at the table than Paul Newman as ‘Fast Eddie’ Felson. And he was fictional. O’Sullivan is officially enjoying his best season collecting a career-best haul of four titles at the English Open, Shanghai Masters, UK Championship and World Grand Prix. No country for young men? O’Sullivan is targeting two more world titles in his 40s to equal Stephen Hendry’s record of seven. “Perhaps 40 is the new 25,” he has commented. After a seemingly terminal decline since his peak of world titles in 2000 and 2003, Williams is blooming like a Welsh daffodil. He ended a seven-year drought to win the Northern Ireland Open with a 9-8 win over Yan Bingtao in November before waltzing to his 20th career title with a 9-1 victory over Graeme Dott at the German Masters last month. Higgins usurped Barry Hawkins 9-7 to earn a fifth Welsh Open and 30th ranking title on Sunday night, 23 years after he first reached the final of the event. 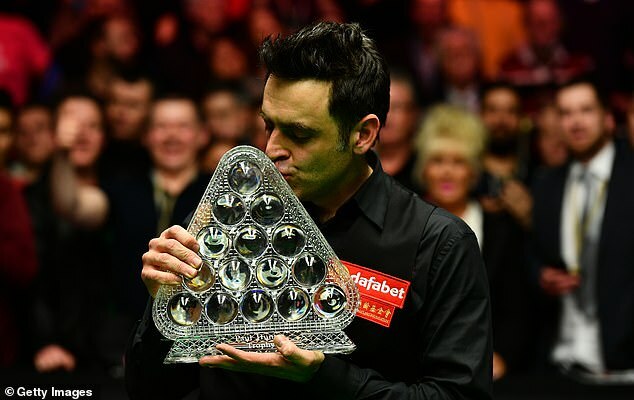 He has also lifted the Indian Masters title less than a year after becoming the oldest World Championship finalist aged 41 since Ray Reardon in 1982. Higgins attributes the expanded snooker tour for saving and extending his career because he is no longer having to isolate himself for practice sessions when he is playing so much. When you study six-times world champion Steve Davis aged 39 winning the Masters in 1997 for his final major victory or Hendry’s toil in his 30s before retiring at age of 43 in 2012, it is remarkable to witness snooker become a game for true greats. Higgins told me back in 2009 a day after lifting the third of his four world crowns, that “when you get to your late 30, early 40s, it will naturally become more difficult with the amount of talent pushing through”. Yet he continues to compete at the highest levels due to a technique made in Scotland from girders. A holy timeless trilogy with 11 world titles between them are rewriting the record books on what can be achieved beyond the previously slippery slope of 40 with a load of balls and a snooker cue as Chas & Dave sung back in its 1980s pomp. The world might have been going snooker loopy back in those days of mullets, shoulder pads and shell suits, but the game of snooker has never been more credible. Out of the top 30 heaviest century makers in the history of the sport, only Hendry, Davis and John Parrott have retired. With a golden generation growing golder in their third decade, snooker boasts genuine forces of nature in world champion Mark Selby, Judd Trump, Ding Junhui, Shaun Murphy, Mark Allen and Neil Robertson. None of them are in the first flush of youth. There is also a supporting cast that includes serious rising Chinese talent led by Bingtao as the sport suddenly houses serious prize money. If O’Sullivan wins a sixth world title in May, he snares £425,000 and becomes the first man to earn £1m on the table in a season. But Higgins and Williams carrying off the old pot would not be a surprise given how this season is unravelling. Life begins at 40? In snooker, life begins beyond 40. And the final frame, the final black is some way off being sunk for the perpetual potters. Follow this link to read the original article and watch the videos. O’Sullivan: I loved his flair, the way he played the game. All the other players, they were all cueing up [O’Sullivan mimes a doddery, arthritic caution] like this, but Jimmy had style. Alex Higgins too, they had that charm about them. I think Ayrton Senna said like “it was pure racing”. When Jimmy and Alex played, it was pure snooker. And I think other people sort of destroyed that organic feeling, you know? They try and coach it out of themselves in some sort of way, become like robots. Jimmy brought rock ’n’ roll to snooker. White: I’d heard about him when he was a young kid but I hadn’t seen him. I played him at Norbreck Castle when he was a teenager: I won the first game and lost the next five. I was, you know, a sort of on-the-road person then and I wasn’t really playing. But I knew at the time it was great for snooker, a breath of fresh air, and the game needed an amazing talent like that. He took the attacking stuff from me and he watched Steve Davis for the brilliant defence and combined them for the full package. But then with his own talent he produced this magical way of there being nothing on the table and then clearing the balls up. He took the game to a new level. O‘Sullivan: Talking about combining, Stephen Hendry had that quality like he was half-robot, half-human, I call him a hybrid. [White laughs]. You need that to be a prolific winner, but if the sport only had that sort of player would it be as entertaining? Probably not. But Jimmy, Jimmy would just turn up in his suit, bring excitement to a room, a whole place. He’s unique. White: We are similar sort of people. We like to go out, have a good time. O’Sullivan: I showed him the ropes, you know. White: He gives me 21 at that game now. I don’t go out all that much any more, I enjoy the normal things in life, but we have a bit of fun occasionally. When you’re on the road, you’d have quite a few people with you, and they wouldn’t perhaps be able to enjoy themselves like we do. So we treat people. Me and Ronnie always seem to pick up most of the bills. [Stories of White “on the road” are of course legendary, from popping out to the shops and coming back a fortnight later; to taking his dead brother to the pub; to epic benders at Ronnie Wood’s house with a white-gloved Keith Richards serving the drinks as White and O’Sullivan played a snooker match. Between them they made nine centuries in 11 frames: perhaps they should let Keef do the refreshments at The Crucible. I ask White if he ever feels under pressure from an adoring public to be the life and soul, but he interprets the question in a way I wasn’t anticipating]. White: Listen, I could have won the World Championship. Obviously if I had the chance to do it all again I would do things differently. But then would I have still wanted to play? Being realistic it is very difficult for me to win the tournament now but my game’s not gone. I still enjoy it. What I should have done is prepared better. O’Sullivan: I would have changed a few things too. There was a period from about 19 to 25 when I just got absolutely hammered. I smoked myself to death. Skunked myself to death. And that was a coping mechanism for me. Because I think my dad going away when I was 16 kind of hit me but didn’t really hit me. And it took time for that to sink in. Once it did, well by then I needed a release. And I found the release in the wrong things basically. If I had found the release in doing triathlons I would have been Olympic champion by now probably. Once I get stuck into something I take it to its limits. And I think that’s what I did with drinking and smoking dope for a while. And them six years, if I could change them I would. White: Talent, it can become a trap. Back in the day, when there weren’t so many good players, you’d have a good time and then you’d do a couple of days practice during a tournament but that’d be it. You’d get it back together, and you probably had the natural talent to get into the semis or something. But that’s no way to be in sport. And sometimes you’d win, and you might be laughing with your mates, thinking: ‘Oh, I have won that and the only practice I have done is in the tournament.’ And you get big-headed. You think you’re better than you are. But the game’s bigger than anyone. White: Ronnie asked me to do Eurosport about 18 months ago and I thought ‘I really don’t want to do that’. But it has been fantastic. I watched more snooker in the last 18 months than I have done in 40 years. White: Yeah! And now we’re like, ‘Here, this is good.’ And not gambling. When I was gambling I could watch it, but I’m not gambling now and we’re like on the edge of our seat. In that studio, watching it, really enjoying it. And a couple of special things have happened. A friend of Ronnie’s – I know him, I get on with him and I get on with most people but I don’t really have many friends, more associates. Yeah so this kid called Anthony Hamilton won his first tournament last year [the German Masters] and it was such a great thing. And then we had Mark King, who was sort of a journeyman, and he went and won one. So there’s been a lot happening. Being there live was good, wasn’t it? O‘Sullivan: Yeah it was. We get really into it. White: Before Hamilton won in Germany, he’d got to the semi in the Northern Ireland Open, he was hitting the balls great, about to win the frame he needed, and we were going ‘this is effing brilliant’. And then he lost the match in the worst way. White: Ronnie turned to him and said: ‘Mate, I would have lent you five grand.’ But that was just off the camera because Ronnie was talking to him as a mate. It was quite an emotional thing. And I said: ‘Aw what a —-ing nice guy!’ and the producers were like: ‘You can’t swear! Stop it!’ And then Hamilton went on to win the next tournament. O‘Sullivan: Yeah, he won his first tournament a couple of weeks later and we were there. [After that white ball] you don’t know how to console him, you don’t know what to say, and then the next month he is wining the German Open. He is a journeyman but he is a class act. His mum and dad were there. White: And he was cueing beautiful. Like a top four player. So we’ve enjoyed that. And it’s been good doing the TV with Eurosport. I got such a buzz being there. People come to you for advice. O’Sullivan: Yeah people come to me, to Jimmy. Liang Wenbo comes to me, we’re both geeing the players up. White: See your pal Wenbo, he’s another one that could win anything but he has never produced. He’s a brilliant story, Chinese player that has come over. He lives in Essex and he is a good friend of Ronnie’s. He’s getting the advice of Ronnie nearly each round, you know what I mean. Ronnie is saying to him to chill out. O’Sullivan: I am giving him the diluted version of what I have been getting from [his psychiatrist] Steve Peters. And I know it works so I pass it on: you need to switch off your emotions, because you cannot control your form. All you can control is your mind. You have to realise that you might play the whole match rubbish but you can still control your own mind. So I tell him that. White: Some of these players now, they might have played for five years and not won a tournament and that’s no life at all. Having to play 12 months a year. O’Sullivan: It can be lonely for some people, the circuit. But not for us, because we have a life [away from the sport]. O’Sullivan: Yeah, stuck on a minibus. White: So you are weaning yourself off. White: I think that’s smart. You have to look at people that’s gone before you. Watch the English Open live on Eurosport and Quest with studio analysis from Ronnie O’Sullivan and Jimmy White. Also available via the Eurosport Player. Jimmy and Ronnie were yesterday in London, at an event organised by Discovery/Eurosport UK promoting the Home Nations Series that starts next week with the English Open 2017. They played a few frames against each other, just exhibition stuff but clearly enjoyed by the audience, Andy Goldstein, the MC on the day, and the players. Here are a few pictures, and the video that was shared by Eurosport UK, live, on Facebook. Enjoy! Apparently, going by the reactions on social media the gang is doing a great job, but, like many mainland European I can’t watch the Eurosport UK coverage. 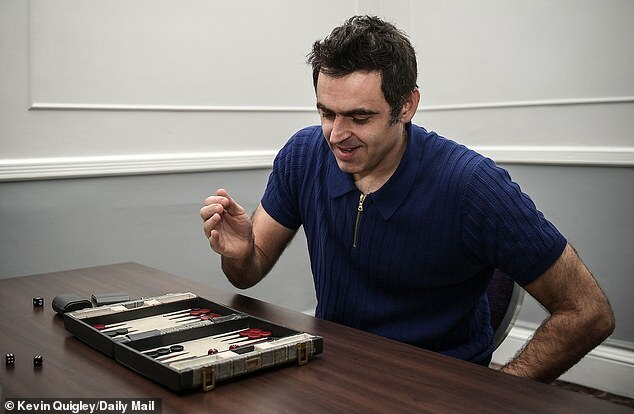 @ronnieo147 is a man of many talents!